I am very excited this week. We are celebrating Hindu Festival Navratri which is 9 days long festival, where we worship Hindu goddess Durga. I really like this time of year, we have lots of festival in the month of October, November. Coming to today's post. Today's theme is Art with Oldest Untried. I chose A-England Saint George. 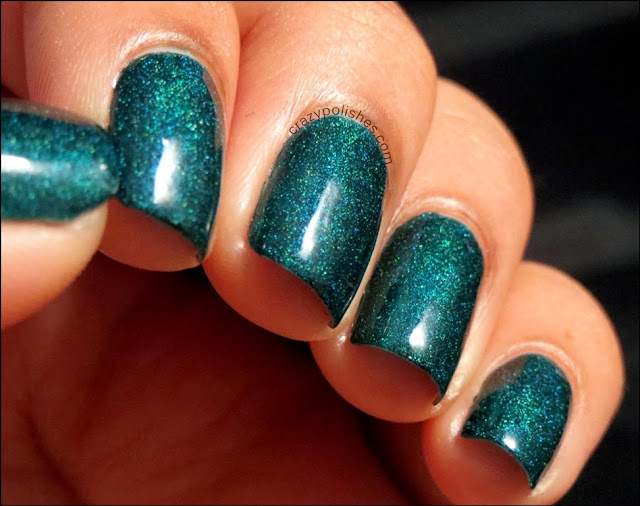 I got this polish back in February gifted by a friend. I wanted this polish and loved this polish but never did a manicure with it. 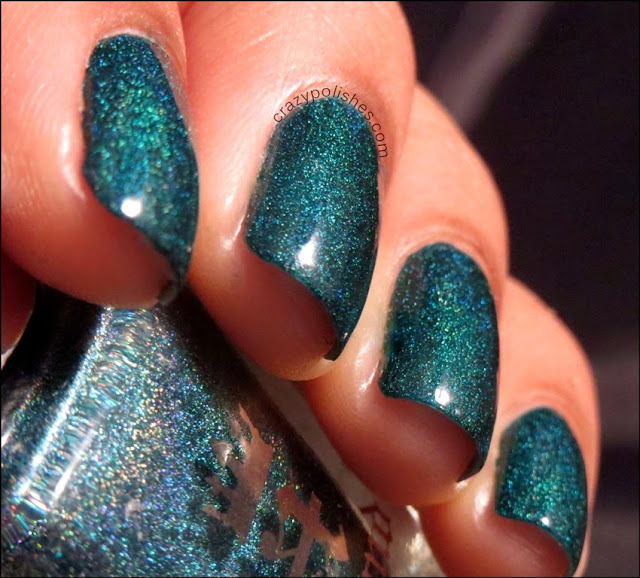 Saint George is a deep teal holographic polish. Its a perfect one coater and so pretty. There was no sunlight so all pictures are taken in a light-box. 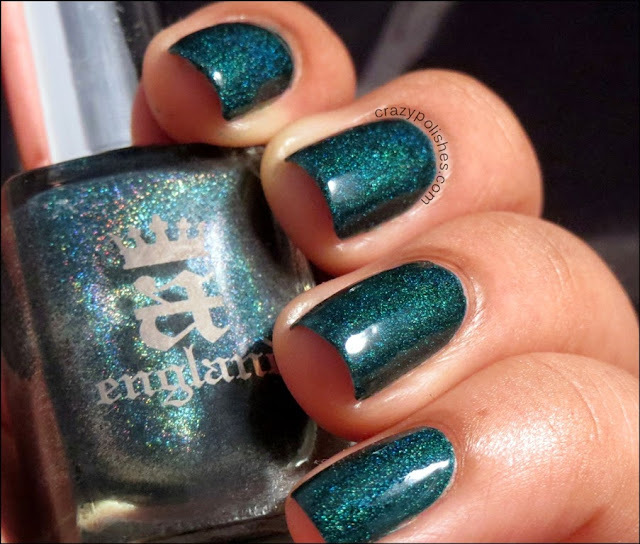 Here are some swatches of A-England Saint George. 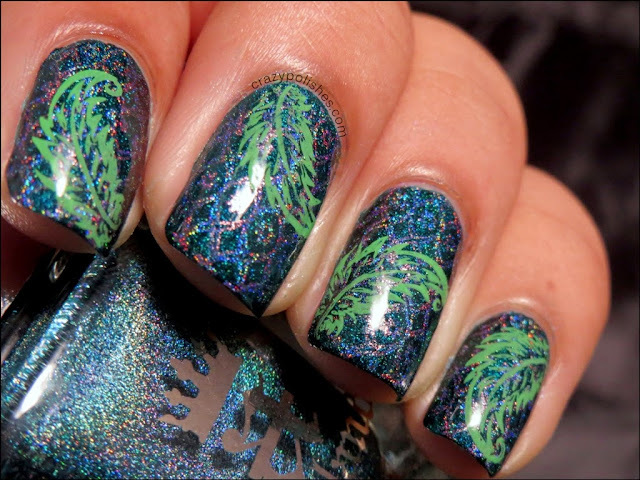 I did a stamping manicure using SA01 and SA07 stamping plates. 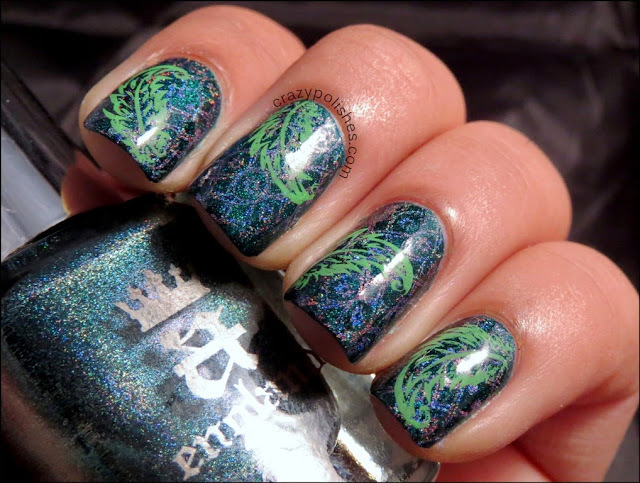 I used Myonline Shop's Apple Green stamping polish which btw stamps very well over dark bases including black. 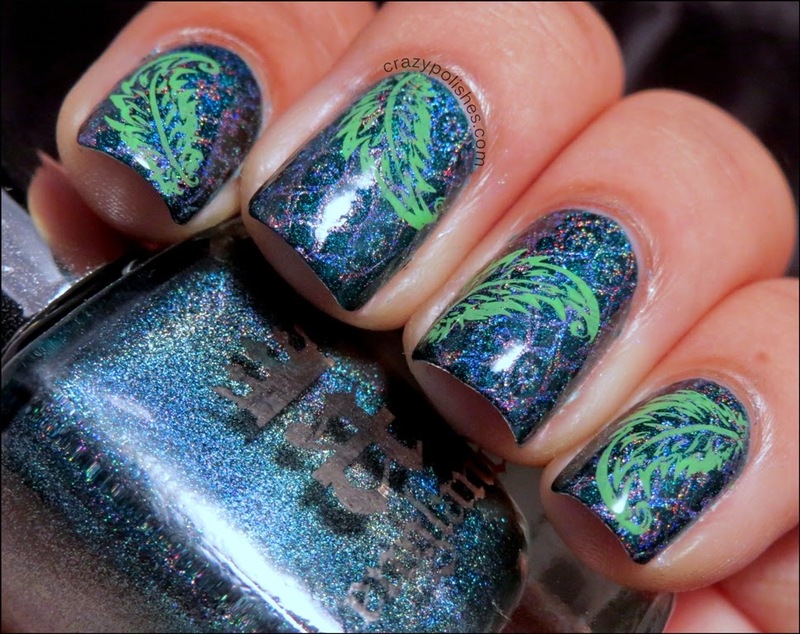 Another polish i used for stamping is color club halographic Eternal Beauty. When I completed the manicure, I realized that maybe I got the theme wrong, it says Artwork and I didnt do a manicure inspired from an artwork but I hope it qualifies and you all like it. Please comment what you think about it.